I had the privilege of working with Tiljala SHED in June, 2018. I experienced firsthand the remarkable work they are doing in Kolkata. Education, women empowerment, and work training for girls are only a few examples of their work. The enthusiasm of the staff is as it must have been in their first year as an NGO. Parveen and Sufia in the office not only explained the projects, but also introduced me to beneficiaries in the community. I also had the pleasure of working with the staff and the children in the library. 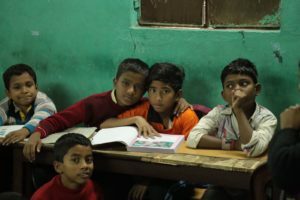 Shazia and Anjum as well as Teacher Chanchal and other teachers take care of the needs of more than 30 boys daily and hundreds more monthly. 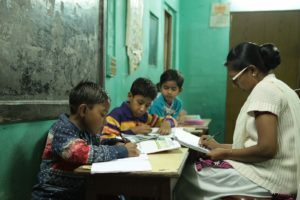 In Topsia, I was impressed by the teachers who every day teach 34 or more students from the ages of 5 to 12 Hindi, English, and math using one tiny blackboard and her engaging teaching style. I wish I could have spent more time with all of them, from the willing students to the wonderful teachers and the excellent office personnel. The best way to volunteer would be to get in contact with Shafkat Alam through contact@tished.org with subject Volunteer. Shafkat will provide information on all aspects of the volunteering process from accommodation, insurance, health, program, community, and more! He will support you through your entire volunteering journey from start to end.